Between our two main activities of the day which you can read about in our travel post, it was a matter of finding something quick, easy and hopefully cheap! £15 each for a jacket potato was the best we could find in the area we were in, so sat inside the market stalls within the train station to eat them. With only one meat option and one vegan option, we both opted for the bolognese. Thankfully they were quite big portions and set us up nicely for an afternoon of touring the city. 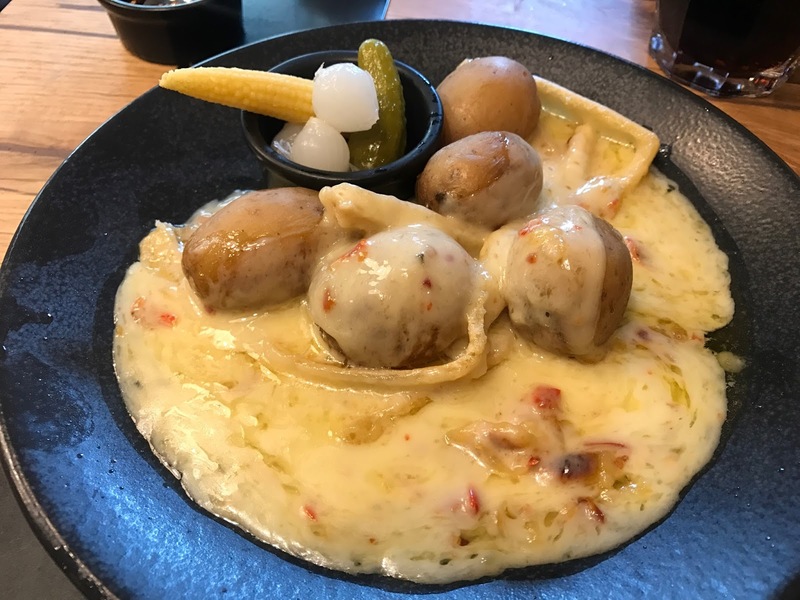 Whilst on our tour of the Old Town, it was recommended that we come here – The Raclette Factory. 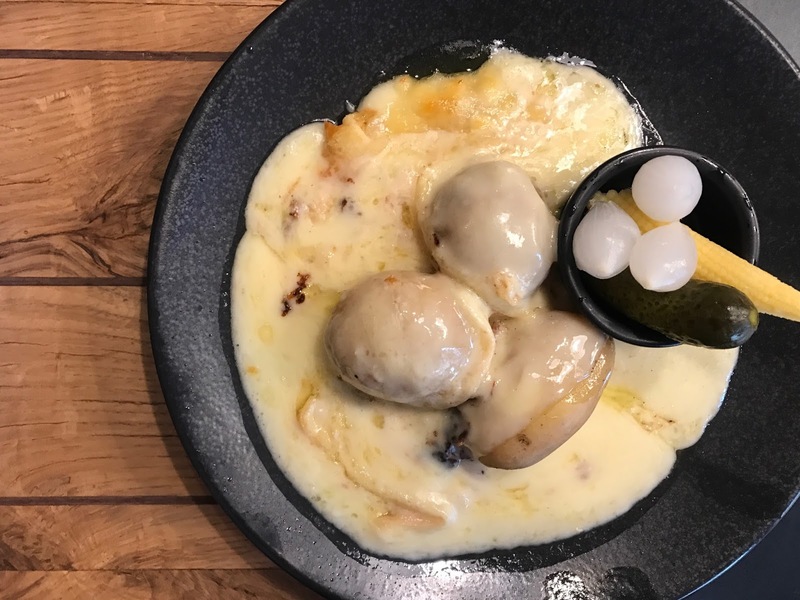 Raclette is a Swiss dish comprising of potato and melted cheese. What you have with it is completely up to you, but we both kept it fairly simple as one had a more garlic like flavour, and the other was spiced up with extra chilli. With Jessica especially having loves for both potato and cheese, she was loving it, although it is quite a strange dish to have on it’s own! It seemed like more of a snack or side dish to us, but we loved it anyway! According to my boyfriend there's no such thing as potato overload! I'd love to try the Raclette! It sounds delicious!